Have voice, will travel for any occassion! Voice Overs outgoing messages for cell phones, home and business answering systems, cartoons and animations. 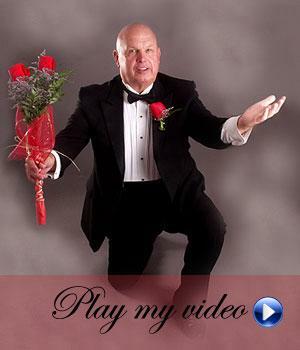 Narrator for education and training videos. Master of ceremonies for grand openings, new product rollouts, customer/employee appreciation days. Singing Telegrams in person and via the telephone anywhere in the U.S.A. Call Chas for other services offered, price and schedule availability.